Courtesy of Delivering The Carolinas Realty Inc.
Immaculate remodeled home on private cul-de-sac located in East Charlotte near Mint Hill. Home features three bedrooms with the master on main! It has a large open loft upstairs that could be used as a bonus, second living area or converted into bedroom four. The home boasts of new HVAC, Newer architectural shingle roof, granite in the kitchen, new Stainless steel appliances, new flooring throughout, new vanities in baths, new paint and a new deck on rear of home and more! The backyard is flat with a small creek. It is partially wooded so the new owners could take some of the trees down and double the size of the backyard and make the creek more accessible. The location offers Mint Hill Middle and Butler High. Everything is remodeled and ready for new owners! At just $200,000 for a new and full remodel you can’t get much better. This home will go fast! HOME IS NOW IN MULTIPLE OFFERS. PLEASE PROVIDE YOUR HIGHEST AND BEST OFFER BY 6PM 2/14/2019. Please, send me more information on this property: MLS# 3473965 – $200,000 – 9128 Parkhurst Lane, Charlotte, NC 28227. 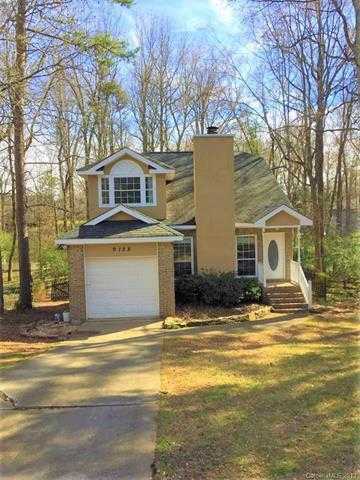 I would like to schedule a private showing for this property: MLS# 3473965 – $200,000 – 9128 Parkhurst Lane, Charlotte, NC 28227.